P.I.N.K. All Star - Pat Murawski - Play for P.I.N.K. 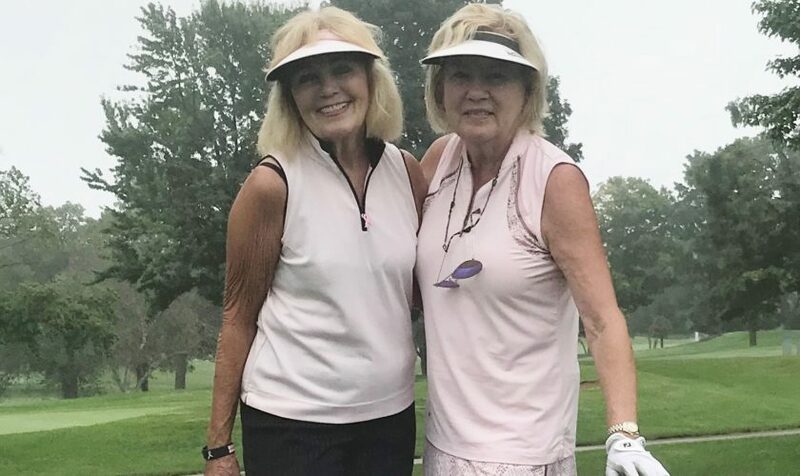 Under the leadership of Pat Murawski, the Mauh-Nah-Tee-See Country Club in Rockford, Illinois has raised significant funds for breast cancer research over many years. Pat’s story is brief but powerful and we are delighted to feature her as our December P.I.N.K. All Star. This is my friend Carol and me at this year’s Play for P.I.N.K. event What is ironic is that we are both 12 year survivors and were diagnosed one week apart. I followed Carol a week after her surgery to the Mayo Clinic. It’s important to us to support PFP because 100% of the money raised goes directly to research and being a survivor, I am committed to their work. I just really believe in what PFP stands for and the important work they are doing. Play for P.I.N.K. is a 501c3 not-for-profit organization. Copyright © 2016 Play for P.I.N.K.